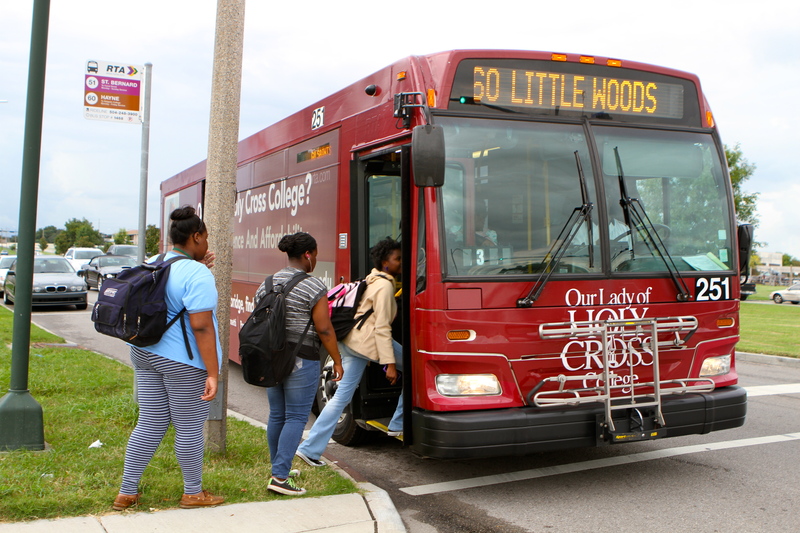 Students get on a Regional Transit Authority bus to travel to school. About half of all hotel taxes collected for the RTA go to tourism. Councilwoman Kristin Palmer says she wants to end that arrangement. Before the case went to trial, the RTA settled with the tourism groups. The transit agency entered a cooperative endeavor agreement with the Tourism Marketing Corporation: The sales tax would apply to hotels. The RTA would get 60 percent of the first $7.2 million in annual hotel tax revenues, and 40 percent of anything above that. The rest would be split primarily between the Tourism Marketing Corporation and the Convention Center, with the city getting a small share.